OUR SAFETY - Brooks Construction Company, Inc.
Safety is another thing that comes first at Brooks Construction as it is something that we are highly committed to. As a continuous effort in our initiative for safety, we encourage our teams to talk about safety together at the beginning of each work day. By continuously talking about and reinforcing safety measures, our foremen can address any safety concerns they may have for all phases of a project. We have been recognized several times for our efforts in promoting our workers’ safety. This is an honor for all our employees who look out for each other, everyday! 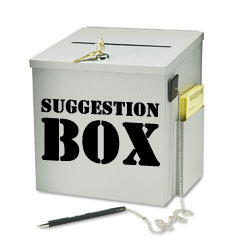 If you have a safety suggestion for us, click on the anonymous safety suggestion box to the right. We appreciate hearing your concerns and your suggestions for safety improvement. VIDEO - Brooks employees ensure safety among their crews! VIDEO - Please pay attention when driving in construction zones. VIDEO - No Distractions - Lives are on the Line.